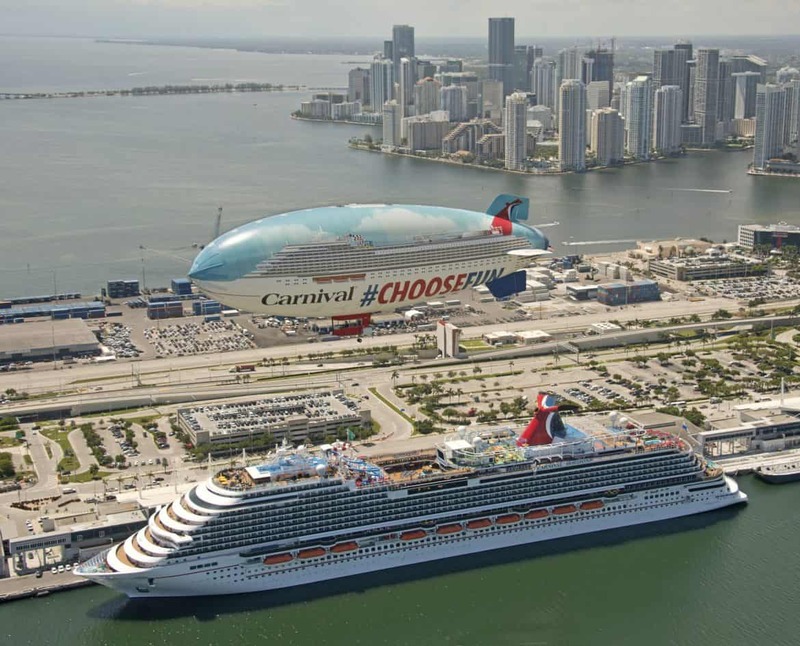 Carnival Cruise Line and Miami have welcomed Carnival Horizon for the very first time. 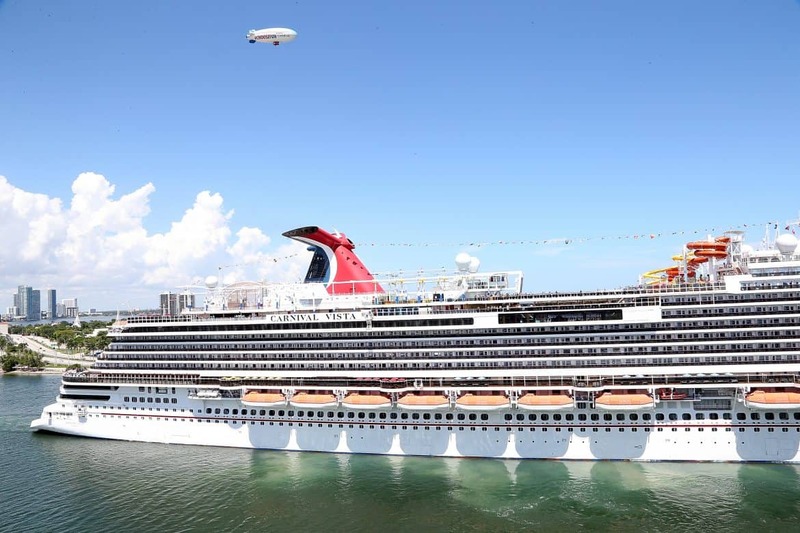 The new Carnival ship arrived on Thursday, September 20 from New York and the festivities were led by Chief Fun Officer Shaquille O’Neal. The newest ship in the fleet arrived at PortMiami on Thursday to begin her year-round service of Caribbean cruises. 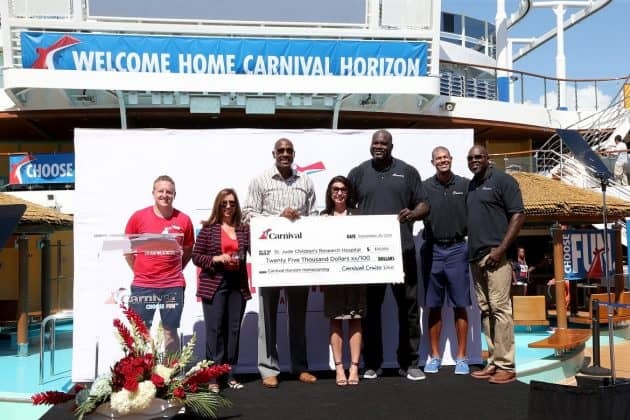 To welcome the ship there were festivities held onboard and along with the CFO, there were Miami HEAT legends Alonzo Mourning, Shane Battier and Glen Rice. During the event on the lido deck, Carnival presented a $25,000 to St. Jude Children’s Research Hospital. 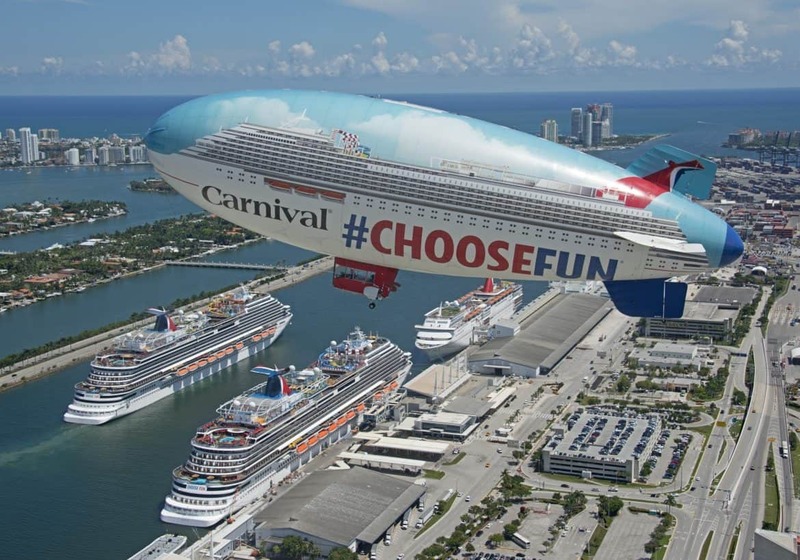 This was thanks to a social media campaign where people had to post a photo of the Airship along with the hashtag #choosefun. Those who got involved had a chance to win a free cruise and prizes. 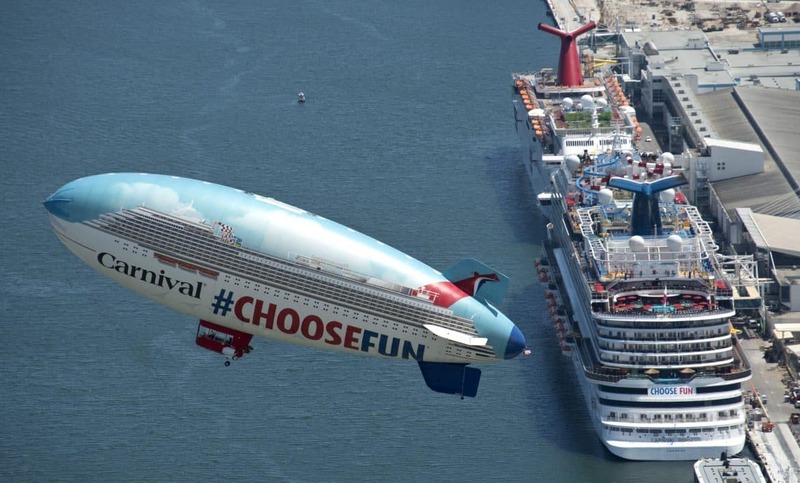 There was a large “ChooseFun” bumper sticker ship’s stern and an appearance by the much anticipated Carnival Airship which we’ve covered on Cruise Hive previously. 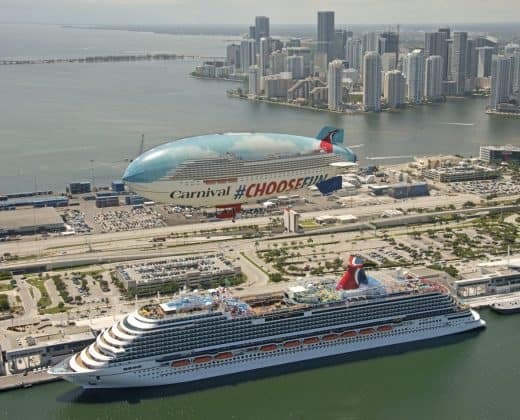 The airship did a fly over Carnival Horizon as she was docked at the cruise terminal in Miami. The 128-foot-long red, white, and blue blimp is doing a tour of the southeast to promote all the new Carnival ship deployments as part of the line’s month-long Homeport Advantage campaign. The second Vista class ship is first sailing a one-time 2-night cruise to Nassau, Bahamas. The first official regular sailing to the Caribbean will depart PortMiami on September 22. 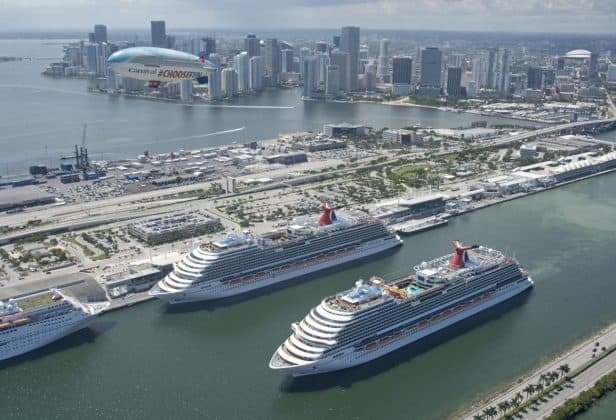 The new offerings from Florida will include 6-day cruises departing on Sunday to the western Caribbean and two different 8-day itineraries departing on Saturdays to the Eastern Caribbean and Southern parts of the Caribbean. Carnival Horizon is a 133,500 gross tons ship and joined the fleet in Spring 2018. Her inaugural cruises in the U.S. were out of New York City. A third Vista-class vessel will arrive in 2019.